TWO more Under Armour Pacer Runs before #SCSM2018! Join your favourite pacers as they taper down for the big day! At the same time, enjoy a post-run refreshment and a chance to trial the UA HOVR™ Sonic Running Shoes! Shoes will be available on a first-come-first-serve basis so come early before the run starts. As we inch closer to race day, we want you to share your training journey with us using our official hashtags! 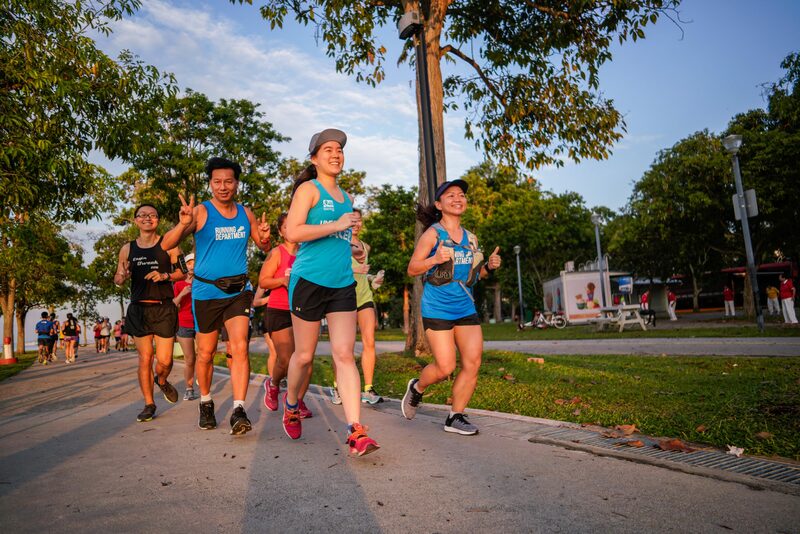 Share moments that you have from our runs with our pacers or your running buddies and tag them with #RunningDepartment #UARunCrew #WeWill. We will be looking out for all your awesome snapshots to share them with the community! Here’s also an exclusive deal for all runners who will be joining us this Saturday! Get yourself a UA shoe bag at only $20 (Original Price $35). Click here for details of the shoe bag! Note: TrainWithUs runners will earn 15 bonus points for this run so please remember to look for us to check-in! Visit www.runningdept.com/trainwithus to find out more. © 2018 All rights reserved. Running Department by The Feel Good People Inc.